It has been weeks since I have visited the dashboard of this blog. I was very busy with family matters particularly with Bella. 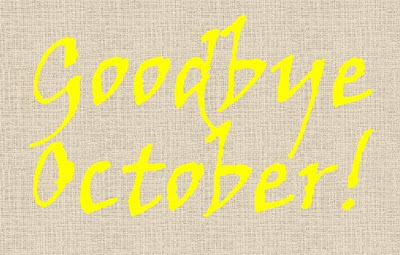 The month of October has been very challenging for me as a mother. My little one was hospitalized and a day after going out of the hospital, she acquired cough and colds caused by her allergy while suffering the pain of teething. For a mom like me, dealing with the health of my baby is a big concern no matter how simple the sickness is. In Bella's case, extra attention must be given particularly if she has fever. She has this thing called febrile seizure and it scares every one of us every time she has attacks. It used to be a simple one occurring once every episode but recently, she has two attacks in a day which made the condition "complex". Our being parents was challenged and put to test every time we encounter problems that involves Bella. For almost two consecutive weeks, we have been visiting different doctors and laboratories to make sure that Bella's health is properly taken care of. Aside from her attending pediatrician, we were also advised to see a doctor specializing in Pediatric Neurology to refer Bella's case. We are so relieved when Bella's doctor told us that her EEG result was normal and that no necessary medication or maintenance is necessary. We were told though to take the necessary precaution to control Bella's temperature every time she has fever and keep it below 38C to prevent the possible seizure attack. I woke up very grateful this morning knowing that Bella is already healed. We even brought her to the hospital yesterday for another laboratory test (CBC, Platelet, and Urinalysis) because she has fever for the past 3 days. Thanks God, she didn't have seizure attack this time. We are so happy that the lab result was just fine and the cause of fever was only viral. Her fever subsided last night, and her appetite is already back to normal. She slept soundly last night and woke up late this morning. I considered the month of October very special since we are celebrating our wedding anniversary on that particular month. Despite the challenges that this month brought us, hubby and I have been able to celebrate our anniversary through a simple dinner with family at home. It's really good to hear, Rovs, that Bella is well now and that her EEG came back normal. I can just imagine kung ganong pagod mo sa pag-aalaga sa kaniya. But thank God na tapos na yun, and of course thank Him as well sa nalalapit na birthday ni Bella. He has blessed her with another year. Praying for good health and long life to Bella and the rest of your family, Rovs :) Hugs! oh, thanks be to God for healing Bella Rovs and that her seizures are gone now. happy anniversary also to you and your hubby. Thank you very much Teh KM for all the love and support. Praying for your and your baby's health too :) Stay safe always. Hugs! Thank you very much Betchai. Please help pray for continuous healing for Bella. I hope that Bela's condition will be continue to be good na.. I know it's hard for parents to see their children suffer. It is a huge relief for sure that your baby had been finally healed. Enjoy the rest of the months in 2012.
good to hear that your daughter's fine now, I can fully relate how hard it is when one of our kids is sick. God is good. Salamat at magaling na si Bella. I beleive October did brought you good things naman. Hope that November be a much better month for you and your family. Praises be to God, Rovz! I am glad all lab tests esp her EEG turned out normal. Even if I am not a mother yet, I know how stressful it must had been for you. Walang kapantay ang pagmamahal ng Nanay para sa anak. I admire you for your strength. 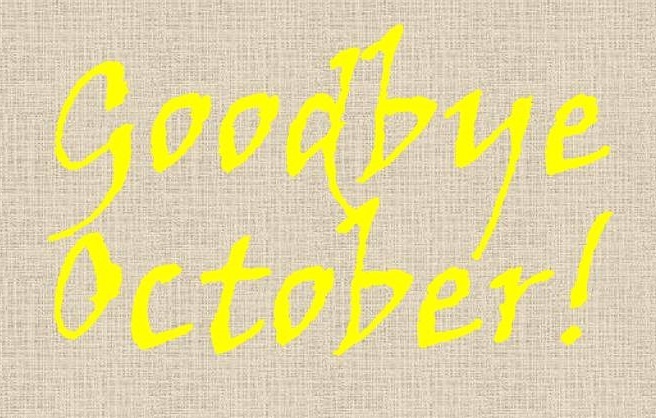 Thank God tapos na ang October. Hear yeah for Bella's birthday celebration! ;-) I hope to see her the next time we meet up. October was challenging for me too - hopefully November wouldnt be so. it's really great news to hear that no further medications and maintenance is necessary and that Bella is completely healed, praise be to God. I know how difficult it is to parents when their child suffer from seizures, especially you do not know when it is coming. So happy for you Rovs, and Bella too. so glad to hear Bella has been healed by the Master Healer. as a mom, i know the feeling seeing your child suffer from sickness, be it simple or complex. this made me pray not just for my children but all "angels" in the whole wide world. Time flies so fast and we are now in the month of November. So many things happened last month and we will just reminisce them as days go by. BTW, belated happy wedding anniversary to you and your hubby and more to come. God bless. i am happy to read that bella's doing great now. i can understand you about your worries with bella, afterall i am a mum too! yes even just a small colds always matters to parents. we cant help ourselves to be concerned when it comes to our kids health condition. ako naman yung October to remember is yung we transfer to my parents house..after almost 10years of leaving alone till nag kaka-baby na ako..i dont live talaga sa bahay namin...i hope this is a start na i keep to bond with my siblings...thank you at yung baby ko naman hindi ako masyado nag kaka prob sa sakit sakit.